Global Maximum Educational Opportunities, Inc. (G-MEO) is a study and internship abroad provider in the Greater China area. G-MEO is dedicated to delivering China Study Abroad Program options meeting the highest quality standards in a variety of locations, offering a wide array of courses in English, as well as Mandarin Chinese language training and hands-on learning internships. Global Maximum Educational Opportunities, Inc. (G-MEO) is a study and internship abroad provider in the Greater China area. G-MEO is dedicated to delivering China Study Abroad Program options meeting the highest quality standards in a variety of locations, offering a wide array of courses in English, as well as Mandarin Chinese language training and hands-on learning internships. 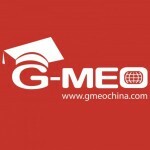 G-MEO offers generous scholarships and awards, partnering with the Chengdu Mayor's office to provide a cost-effective and valuable global experience for everyone!